Dr Bin Tean Teh obtained his MD (1992) from the University of Queensland, Australia and his PhD (1997) from the Karolinska Institute, Sweden. Following postdoctoral works in multiple endocrine neoplasia 1 at Karolinska Institute, Dr Teh joined the Van Andel Research Institute (VARI) in 2000 as a Senior Scientific Investigator heading the Laboratory of Cancer Genetics. 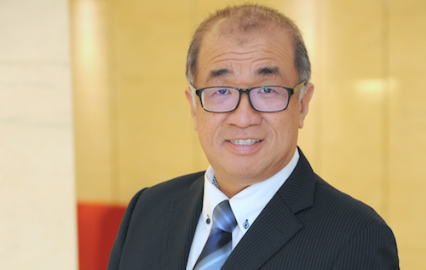 In 2007, Dr Teh was appointed as the founding Director of the National Cancer Centre Singapore (NCCS)-VARI laboratory, which serves as a bridge between translational research and clinical medicine. In 2010 he received the STaR award and relocated to Singapore and is currently a full professor in CSCB. He served as the SingHealth Group Director for Translational Research from 2010-2012. His laboratory focuses on genomic studies of cancers common among Asian populations, using tools such as high-throughput genomic platforms and correlation studies with cliinico-pathological information. In the last 3 years, his group, in close collboration with other groups at DUKE-NUS and Singhealth, has made significant advances in bile duct cancer, T-cell lymphoma and kidney cancer. Most recently, his group has made seminal discovery of the molecular fingerprints of carcinogen related to herbal plants. He has recently been appointed research director at Institute of Molecular and Cellular Biology Singapore. He holds Adjunct Professorships at several universities worldwide including Baylor College of Medicine, USA, Nanjing University and Sun Yat-Sen University, China and the Karolinska Institute, Sweden. Dr. Teh has published extensively, with over 300 publications in high impact scientific journals. He has been member of various editorial boards for journals including Lancet Oncology, Cancer Research, Molecular Cancer Therapeutics, International Journal of Oncology, Journal of Clinical Endocrinology and Metabolism, Clinical Genitourinary Cancer, and the American Journal of Translational Research.